MINI is next to release its updated price list following the implementation of the Goods and Services Tax (GST) on April 1. 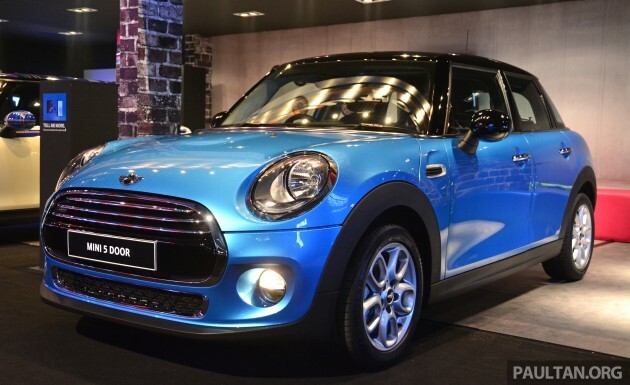 Starting at the bottom of the range, the MINI Cooper 3 Door is now priced at RM176,888 on-the-road (OTR) without insurance – signifying a drop of RM2,000 or 1.12%. The biggest drop in price affects both the MINI JCW Countryman and JCW Paceman. A RM5,000 decrease now sees the duo priced at RM313,888 and RM333,888 OTR without insurance, respectively. The only models not affected by the changes are the MINI JCW 3 Door, Cooper 5 Door and Cooper Countryman facelift, having been launched after the implementation date. An “actor” by training, Gregory Sze realised that he has had enough of drama in his life. Following his number one passion (acting was actually number two), he decided to make the jump into the realm of automotive journalism. He appreciates the simple things in life – a simple car with nothing but back-to-basics mechanical engineering and minimal electronics on board. Even though the new hatch price is lower than the previous gen I still think its expensive. Pity there isn’t enough sales to warrant a CKD version else we could be seeing the 3 door hatch starting just under RM160k. You must be dreaming. For best RV, Toyota is the choice. Work hard to change your Myvi to sushi. Below RM160k ain’t gonna happen in bolehland. Proton will marah guat guat.